Engaging in everyday training and physical activities on a regular basis is fundamental for athletes as doing so helps increase their performance potential when participating in their specific sport or exercise. However, with constant and repetitive movements, the human body can eventually experience degenerative changes which can result in damage or injury to the structures of the body as well as develop or aggravate a previously existing condition. In addition, an accident during the practice of the athlete’s specific sport or physical activity can result in various types of sports injuries. While some forms of sports injuries are more commonly diagnosed in athletes, such as ankle sprains or strains, occasionally, individuals may be exposed to a unique circumstance where a rare type of injury can occur. Hip injuries are considered infrequent sports injuries, primarily because the hip is so well supported by its surrounding structures and tissues. When they do occur though, an athletes performance can be greatly affected. Hip injuries are often uncommon types of injuries among athletes, as these don’t generally occur immediately, rather, the accumulated hours of training may progressively cause a series of worsening symptoms. Approximately 3.3 percent to 11.5 percent of long distance runners suffer sports injuries as a result of overtraining, where hip complications are believed to contribute for up to 14 percent of all athletic issues. In fact, hip injuries make up nearly a sixth of all injuries sustained by athletes. Moreover, because of the complexity of the hip and its surrounding structures, about 30 percent of hip injuries are undiagnosed. Without correcting the initial problem, recurrence or ongoing impairment may often follow. During longer distance running, the stance phase generally lasts longer due to a runner’s longer stride. The stance phase also exposes the hip joint to about five times the individual’s body weight in comparison to three times the individual’s body weight during the swing phase. When athletes run faster, they spend less time on the ground, subjecting them to lesser forces being transmitted up their lower extremities. The muscles and tissues of the hip, knee and ankle function together to control the movements of the joints and well as restrict the forces being placed against them. They are exposed to reaction forces from the ground which force the structures to contract accordingly. The harder and athlete lands or the greater the distance they run, the more activation is usually required by the structures to offload the joints and absorb the force of the additional load. As every runner possesses their unique running style, over a period of time, a constant pattern of running and the impact they receive from the above mentioned forces eventually exceeds an individual’s limit. This combination of factors is generally the leading cause of hip injuries among many athletes. 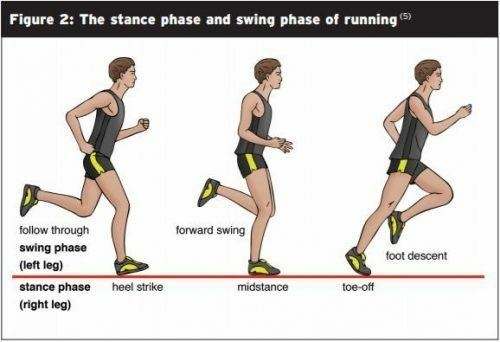 Running impact occurs through the heel strike of the running phase. Depending on the duration of contact, the frequency and how heavy an athlete lands on their heel, the extent of impact will vary. Runners who impact on the midfoot are believed to experience far less impact force than other athletes. As often described by many healthcare professionals, a single load can damage or injure the articular cartilage and tear the labrum, most commonly occurring after an unexpected trip or fall. Most often than not, however, the repetitive load from running or similar activities can gradually develop small micro trauma to the hip joint, an accumulation of damage which can thin out this layer of cartilage and cause tearing and shearing of the tissues. The hip consists of flexor muscles, such as the iliopsoas, the sartorius, the rectus femoris, the tensor fasciae latae and the pectineus, which are designed to flex in order to absorb the shock of impact. The pelvis will then follow by rotating back, providing more space for flexion to occur. It will then adduct, using the adductor longus, adductor brevis, adductor magnus and pectineus, which will then follow into abduction, primarily utilizing the gluteus medius, for a terminal swing and take off. The hip will then subsequently move into extension, where the leg extends backwards, to propel the body forward, mainly utilizing the gluteus maximus as the pelvis shifts forward to adjust the functions of the hip joint. If any of these movements are altered during physical performance, the forces of impact being placed against the body will be transmitted incorrectly, causing the pelvis to become unstable and adding tremendous strain against the hip joints and muscles. Repetitive and constant loads of weight and force can then create an accumulation of trauma, leading to several forms of hip injuries and complications. Muscle strains, can develop and affect any of the muscles and tissues involved in the natural biomechanics of the hip, specially if these become overloaded due to poor alignment and mechanics. The most common muscle strains causing hip injuries occur to the iliopsoas due to over flexing of the hip joint or from a heavy impact while the hip is flexed and an excessive amount of load is placed against the muscles. The gluteus medius can also suffer damage or injury if the runner or athlete over-adducts, described as an inwards movement of the hip, during their running pattern and the gluteus medius tendons become irritated with direct compression from the hip bone. Trochanteric Bursitis, is characterized by swelling and inflammation of the fluid-filled sac known as the bursa, located within the greater trochanter on the side of the hip. The bursa provides the appropriate mobility to the iliotibial band found over the hip bone, however, constant shearing can often lead to irritation and inflammation. 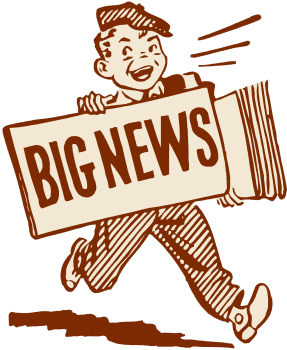 Femoroacetabular impingement, or FAI, occurs when the femur compresses the acetabulum, primarily during the flexion of the hip where the bones and other structures collide. 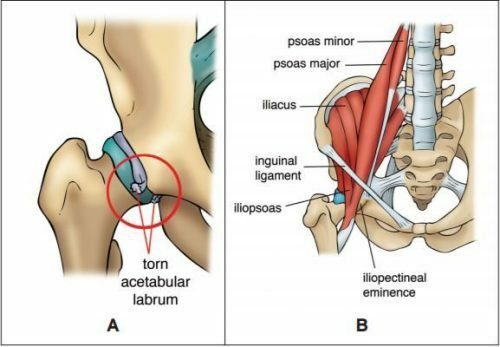 A pincer impingement where the acetabulum rim develops an extra lip of bone can often cause hip injuries or a CAM impingement can cause the femoral neck to grow an extra ridge of bone, resulting in other types of complications. Untreated FAI can progressively lead to labral tears because the additional bone can repeatedly grind down the labrum. Labral tears, are medically defined as a tearing of the labrum which surrounds the joint of the hip and the acetabulum. These generally occur after a traumatic event or injury or due to cumulative microtraumas over a period of time. Because of the wide variety of hip injuries which can affect the modern athlete, a proper diagnosis performed by a qualified healthcare professional, such as a chiropractor or physical therapist, is absolutely essential towards developing an appropriate treatment plan. Foremost, athletes with already diagnosed hip injuries should avoid repeated or regular flexions of the hip to prevent further complications. If flexion cannot be avoided, for instance, when sitting, then the individual can lean back or stand up into extension. Cycling and treadmill running are not appropriate cross-training methods for hip injuries as these promote hip flexion and internal rotation, causing further impingement to the acetabulum. Swimming is permitted in these cases as it is a non-impact sport and it avoids these irritable positions. The following three stages of rehabilitation can be followed in sequence or may be combined to prevent aggravating hip injuries. First, the individual can proceed to strengthen the gluteal muscles, primarily the gluteus medius and maximus in isolation by performing the next exercise. The individual must bridge lie on their back while keeping their knees bent and placing their arms by their sides. Then, placing a resistance band around their thighs will help draw the knees in together. The individual may attempt to keep them apart by pushing against the band, activating the gluteus medius. Subsequently, the athlete can carefully push up through the heels to lift their buttocks and back off the floor, holding the position for five seconds before slowly returning to the initial position. This exercises should be repeated in sets of 10. Also, the individual can perform another strengthening exercise by clam lying on their side with the specified hip on top. 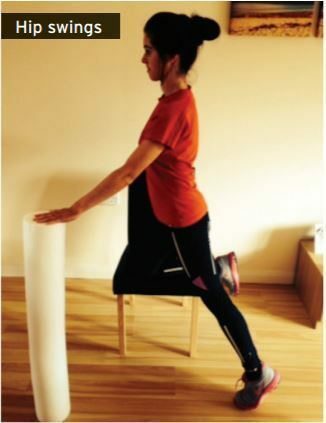 Keeping their feet together, the affected individual should then lift the top knee upwards into external rotation, activating the gluteus medius and preventing the hip from adducting. It’s important for the athlete to control their knee on the return to start position to maintain eccentric muscle control and improve greater hip stability. This exercise should be repeated for three sets of 10 repetitions. Second, to strengthen the whole lower extremities, the individual must combine movements to incorporate other muscle groups and improve core stability. To achieve this, the individual must perform a lunge with twist by taking a step forward with their specified leg and proceed to bend both knees and hips simultaneously, making sure not to bend the hip to more than 60 degrees. Once in this particular position, the affected athlete can proceed to rotate their body from right to left, slowly returning to the starting position to strengthen the core and improve pelvic stability. This exercise should be repeated for sets of 10 as the participant is capable to do so. Also, the individual can perform another exercise to strengthen the lower extremities known as the single leg squat with twist. Standing on the specified leg while the pelvis is in a neutral position, the athlete can proceed with this exercise by bending at the hip and knee into a squatting position. 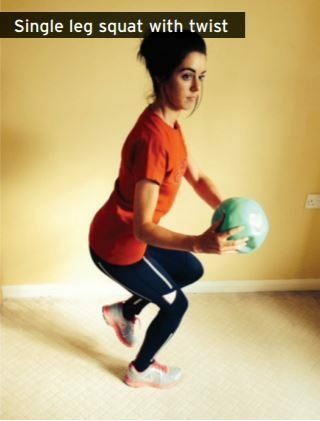 Keeping the knee behind the toes, the athlete must then rotate their body to the right and left while keeping their back straight, further activating the the gluteus maximus and challenging the core muscles. This exercise can be repeated in sets of 10 as able. And finally, to strengthen the hip and improve the functional movements of running patterns, athletes with hip injuries can proceed to perform the following exercises. 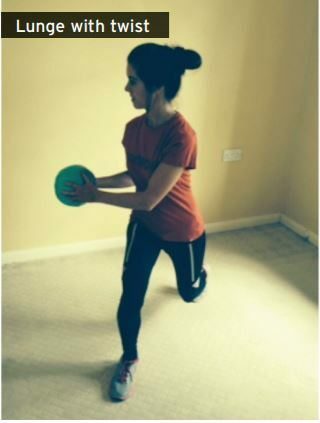 The standing hip hike can be completed by having the athlete stand upright with their feet kept hip distance apart. The individual must then hitch up their specified hip while maintaining neutral pelvic stability, making sure the hips do not twist or move around. Repeat for three sets of 10 repetitions. Then, the individual can also perform forward step ups by standing in front of a high step or stair, holding on to a pole at one side to activate the latissimus dorsi back muscles, associated with the gluteal muscles. Leading with the chosen hip, the athlete can then proceed to step upwards and then return to the starting position. Repeat leading with the same leg each time for three sets of 10 repetitions. Furthermore, to continue strengthening their hip and improve function, hip swings can be utilized to help those athletes with hip injuries throughout their rehabilitation process. Using a similar setup as the forward step ups, the individual can perform this exercise by resting their good knee on a bench. Holding on to the pole, the athlete can proceed to bring the specified hip forward into hip flexion, returning to the original position. The static leg should maintain good pelvic stability and will be brought into extension, activating the gluteus maximus rather than the hamstrings. This exercise must be repeated for three sets of 10 repetitions. The athlete can participate in an appropriately developed return to play program following the variety of hip injuries they may experience, alongside the strength training regimen mentioned above once the complications begin to improve. Runners should aim to begin this specific program at approximately 60 percent pre-injury intensity. Athletes can begin running on soft surfaces to limit the amount of impact, they may include a comprehensive dynamic warm-up. Subsequently, athletes can begin progressively increase the speed, only running on alternate days for the first 3 to 4 weeks, continuing to strengthen through training. Sprints, hills, accelerations, and decelerations can be introduced slowly, choosing one element at a time. As with any type of rehabilitating programs, the affected athletes must first seek medical attention from a qualified healthcare professional to receive a proper diagnosis of their injuries before attempting any form of stretches or exercises as to avoid further injuries. 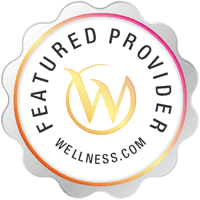 A chiropractor, is a specialized doctor who focuses on a variety of spinal injuries or conditions and its surrounding structures, including various types of sports injuries. Through chiropractic care, a chiropractor can perform a series of spinal adjustments and manual manipulations to provide mobilization therapy and improve an athlete’s symptoms, strength, flexibility and overall health. Doctors of chiropractic, or DCs, may also recommend a series of additional exercises different from the ones mentioned above to accordingly help speed up the individual’s recovery process. Hip injuries can be debilitating to runners as well as athletes from other sports. Hip flexibility and strength is essential for optimal performance. The hip joint is a complex structure that moves in multiple directions and is stabilized and supported by those specific structures. When an individual is faced with debilitating hip injuries, getting the appropriate medical attention is essential and following through with the right rehabilitation exercises can be crucial towards the athlete’s overall recovery and return to play. Maintaining the proper health of your spine, primarily if you’re a runner but also among athletes, is essential as the hip and its surrounding structures are necessary for almost all types of sports. When seeking care for these type of sports injuries, chiropractic care is a recommended form of alternative care which treats patients without surgical interventions. Furthermore, chiropractic treatment can help restore the individual’s original health as well as promote a faster recovery and increase their strength, flexibility and mobility.